The Quik Pod Explore 3 is great for getting unique views with your camera, smartphone or GoPro. 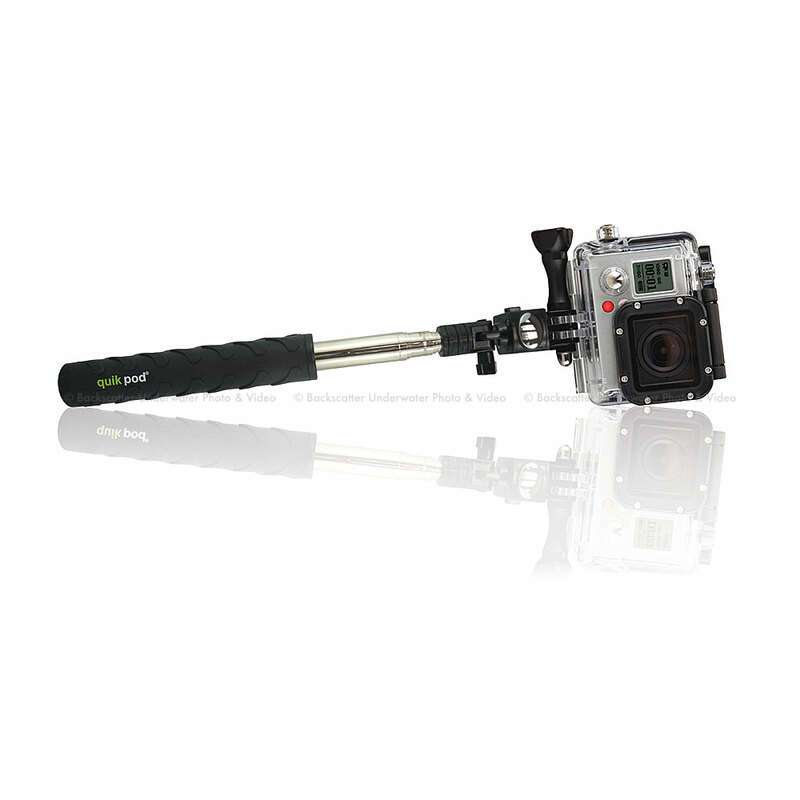 The small and lightweight arm extends to 39 inches and can also be used as a monopod. The rugged design makes the Quik Pod Explore 3 ideal for use underwater. Quick Pod Explorer 3 - First Look & Details from Backscatter on Vimeo. smartphone adapter adjustable to fit all iPhones, Android, Windows and other phones.